How Do I Find Out What Version of Windows I'm Using? Hello, How do I find out what version of windows I'm using? Thanks! Hey, I noticed a lot of comments about language support for Windows Community videos and wanted to share a tip. YouTube automatically translates subtitles to almost any language. Find the Settings icon (⚙) at the bottom right corner of the YouTube player. Select Subtitles/CC, then tap Auto-translate and choose your language from the list. Hi, my laptop shows Bluetooth device but there is nothing like turn on or off button. What can I do to fix it? 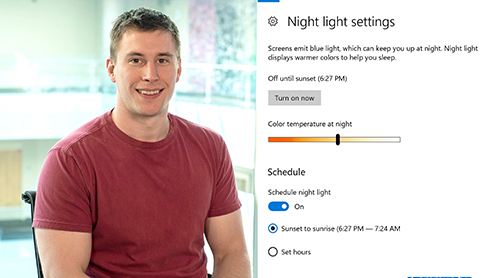 Learn about the night light feature in Windows 10 and how it can help you sleep at night. 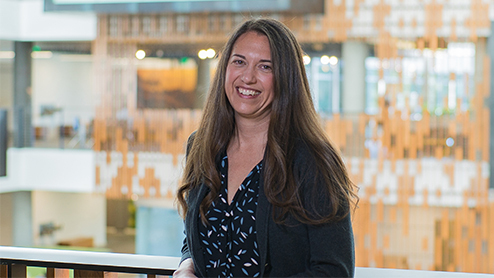 Privacy Officer Marisa Rogers talks about Windows 10 privacy that make you in control of your privacy settings for safe and secure Windows experiences. 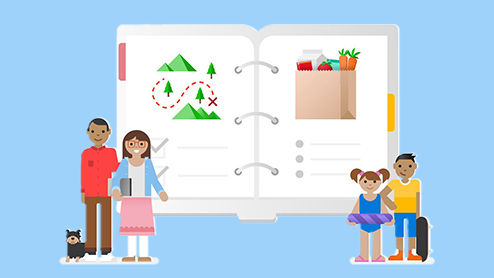 Windows protections for your family as they explore online. 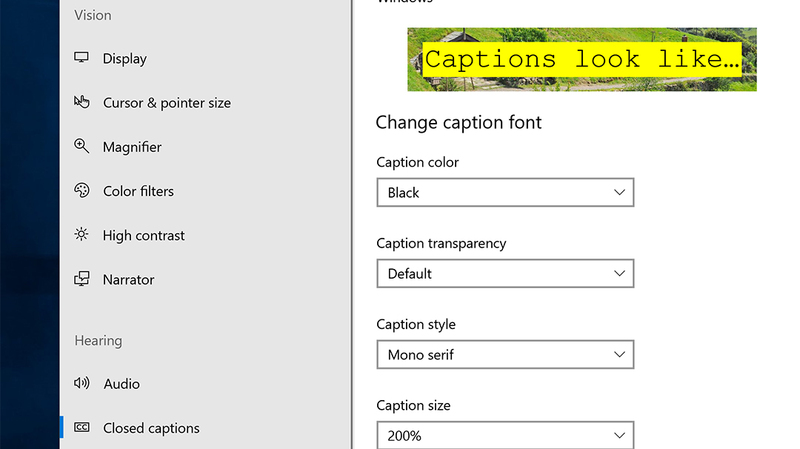 Many people find closed captioning helpful not only when watching videos, but also when using a PC. Windows includes several settings to make computer work easier when hearing is difficult. 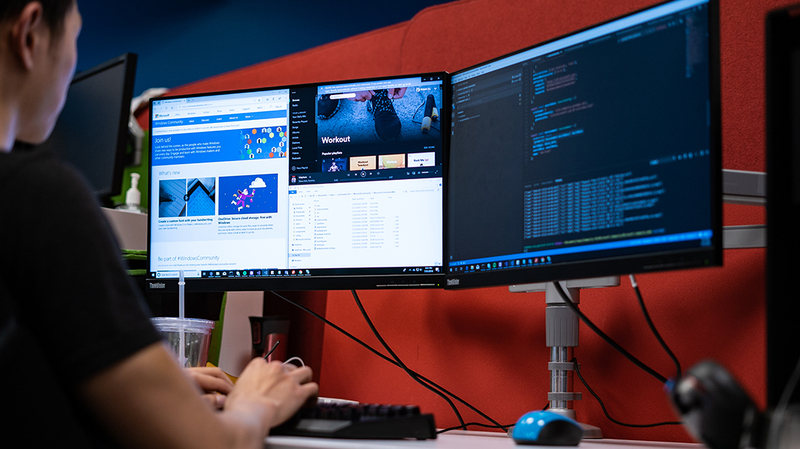 Many people like using more than one monitor, to see more of their work on the computer. Windows makes it easy to connect, arrange and use multiple monitors with almost any computer. 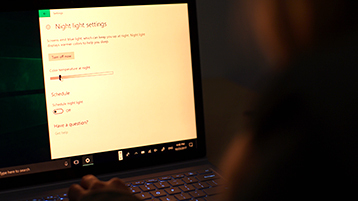 View display settings in Windows 10. ... To adjust your color calibration, search "calibrate display color" in the Settings search box and follow the directions. 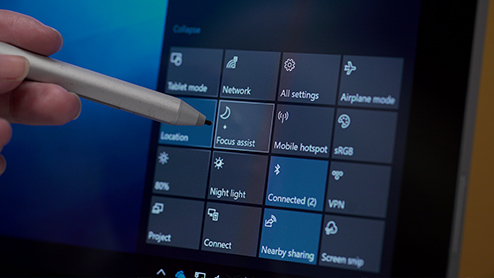 If you don't see a setting you're looking for, try searching for it in the search box on the taskbar. Open Display settings. At lower resolutions, fewer items fit on the screen, but they are larger and easier to see. At very low resolutions, however, images might have jagged edges. For example, 640 × 480 is a lower screen resolution, and 1600 × 1200 is a higher one. CRT monitors generally display a resolution of 800 × 600 or 1024 × 768. I simply want to restore the default display settings, so I can start over, but all search results only address previous versions of Windows. Even this forum insists the answer is already here. It is not. I already know how to change colors. That's what got me in trouble in the first place. When you change the screen resolution, it affects all users who log on to the computer. When you set your monitor to a screen resolution that it can't support, the screen will go black for a few seconds while the monitor reverts back to the original resolution. Topic Description; Adaptive display idle timeout. Specifies whether the OS automatically scales the display idle time-out based on user activity. 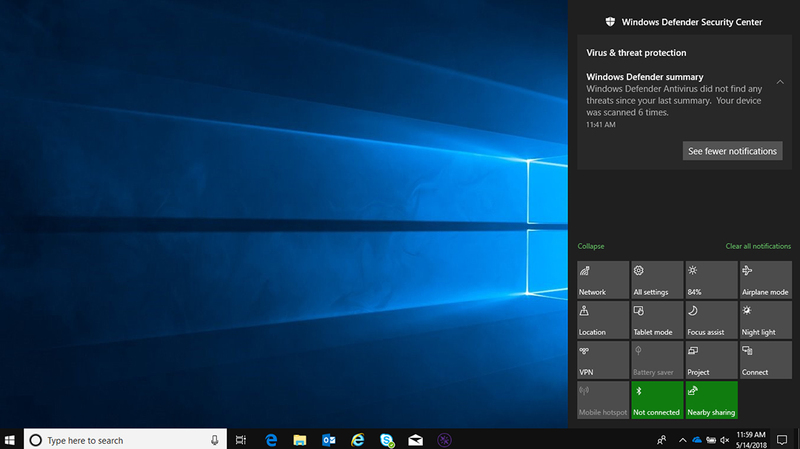 If the user provides input to the system shortly after the display idle timeout is reached, Windows automatically extends the display idle time-out to deliver a better user experience.